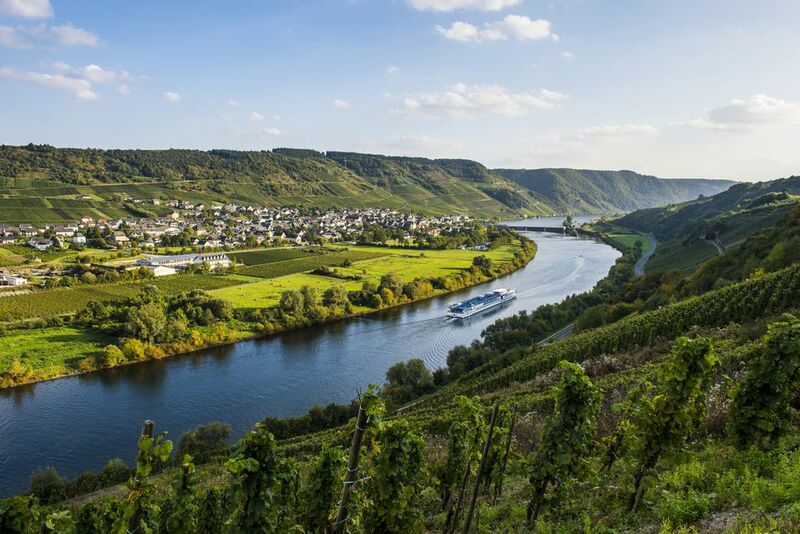 Planning your first European River Cruise? Picking a waterway, dates, and budget seem easy enough. Then you find there's an overwhelming choice of boats out there, and with seemingly similar appearances, routes, amenities—even cost. 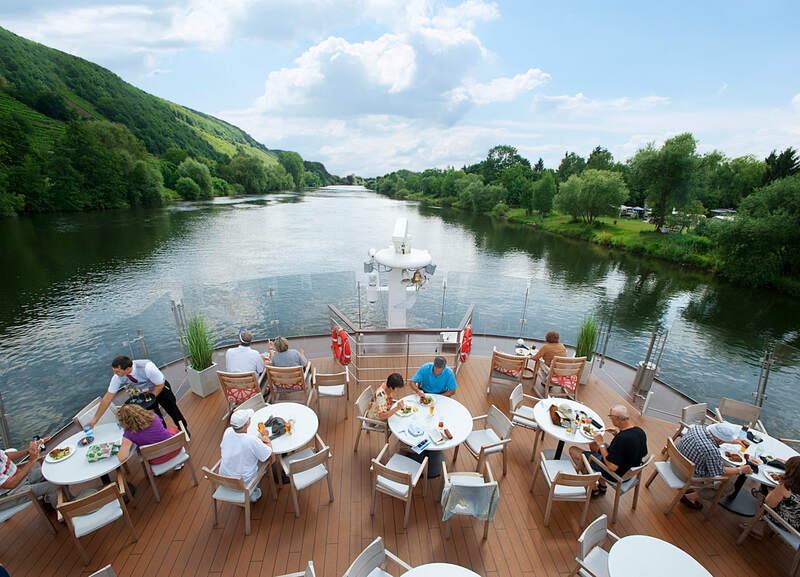 ​Read on for our river cruising guide, which will help you learn the distinct personalities and perks of the major river cruise lines, to find the right one for you! Vibe: With 144-to-196 passengers, these European ships resemble well-decorated homes-away-from home. Cruises emphasize health and wellness, balanced by fine food and wine. The new AmaMagna, offers more amenities and space—including a novel watersports platform. Fellow Passengers: Energetic social Americans, often wine buffs, ranging from 40-plus to Baby Boomers and beyond. Younger cruisers often book themed wine sails. Average Eight-Day Fare: $2,699 per person. Notable Inclusions: All meals, beer, and wine with onboard lunch and dinner; shore excursions; guided hiking and biking tours; bicycles; one-hour daily happy hour with beer, wine, and spirits pre-dinner; and Wi-Fi. Rivers: Danube, Rhine, Moselle, Main, Rhone, Seine, Garonne, Dordogne, Douro; and Dutch and Belgian waterways and canals. Cabins: Residential-ish staterooms typically run between 155 to 502 square feet. Most cabins sport Ama’s signature twin balconies, featuring both a French and outside veranda. Flat-screen TVs double as computers, and baths sport multi-jet shower heads. Eat and Drink: Count on seasonal, destination-driven menus with healthful composition and fine regional wines. All cruisers enjoy one complimentary, six-course dinner with wine pairings at the haute Chef’s Table, prepared in-front of passengers. Staying Fit: Devotees like the well-equipped gym, walking track, heated pool, and hydration station with infused detox and gemstone waters. A Wellness Host provides complimentary daily classes, like core strengthening and circuit training, as well as personal training for a fee. Shore Excursions: An Ama specialty: The line partners with Backroads, bringing biking, walking, and hiking tours to more than 120 sails this year and in 2020. Fellow Passengers: Consider the mostly American over-50 crowd friendly, well-heeled, travel-savvy, and stylish. Average Eight-Day Fare: $6,333 per person. Notable Inclusions:: All meals, alcohol, and shore excursions (other than über-exclusive); electric bikes (e-bikes); 24-hour room service; self-service laundry (rare to riverboats); Wi-Fi; gratuities onboard and ashore; airport transfers. Cabins: Even the smallest suites (188 square feet on the quadruplets; 219 square feet on Mozart), feel swanky. Revel in king—not the typical riverboat queen—beds. Most feature walk-in closets and dual-vanity bathrooms. Modern tech accents include a bedside iPad with room controls. Italian toiletries, especially the body lotion, are swipe-worthy. Eat and Drink: Think Michelin star-style cuisine, particularly at on-site restaurant Waterside. The Bistro showcases morning specialty coffees and house-baked pastries, midday charcuterie, and later, wine and tapas. A Vintage Room extravaganza (a rare extra cost), paired with legendary wines, is extraordinary. Staying Fit: At the well-outfitted fitness center you can take morning classes like yoga and plunge into the heated indoor pool. Off ship, go kayaking and canoeing, ride an e-bike. Later, unwind in the full-service spa. Shore Excursions: Outings are designed to avoid tourist hordes. Tour groups are limited to an unusually intimate 15 guests, and Crystal’s plush customized coaches deliver leg room, power outlets at every seat, and complimentary Wi-Fi. 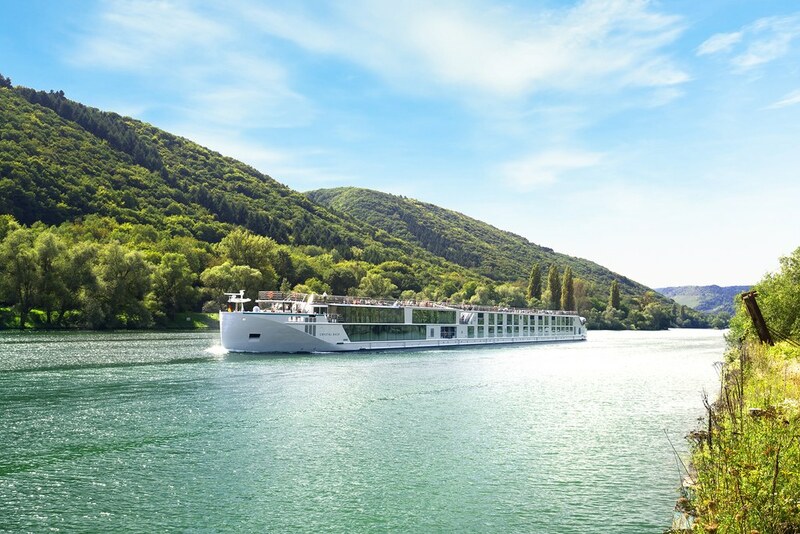 Vibe: Emerald's 112-to-182 passenger European riverboats resemble attractive mid-priced modern hotels, awash in glass, chrome, and contemporary art, with buzzy lounges. Most boats have spas and salons. The pool converts to a movie theater on all ships except Emerald Radiance. Fellow Passengers: A fun-loving, energetic group, mostly 45 years old and up, although the line increasingly skews younger. Cruisers are from the U.K., Australia, and North America, and like independent exploration, such as bicycling ashore. Average Eight-Day Fare: $2,600 per person. Notable Inclusions: All meals, beer, and wine with onboard lunch and dinner; most excursions; WiFi; gratuities onboard and ashore; and airport transfers. Rivers: Danube, Maine, Rhine, Moselle, Douro, Rhône, Saône. Cabins: Solo cabins—great for friends traveling together—run 117 square feet. Most guests book 180-square-foot Balcony Suites. The fanciest, at 315 square feet, include an iPad, Nespresso machine, and some laundry service. Eat and Drink: Reflections Restaurant provides daytime buffets, and four-course contemporary European evening dining with regional wines. Passengers keep the poolside bar lively. Weather permitting, Emerald hosts a popular once-a-week sundeck lunch barbecue. Staying Fit: The large indoor heated pool has a retractable roof, a top deck walking/running track, and a wellness center with a small gym. Shore Excursions: Many diversified options, including the popular EmeraldACTIVE, featuring guided bike tours and vigorous hikes. 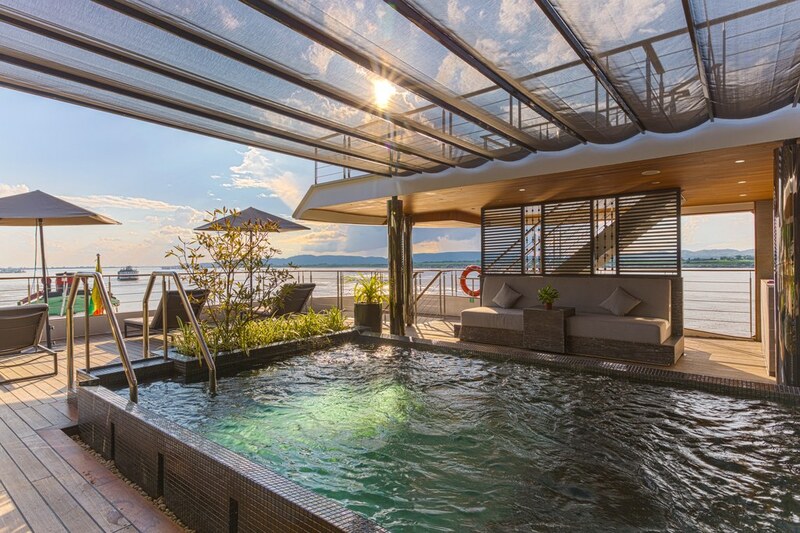 Vibe: Scenic—Emerald Waterways’ older, pricier sibling—also leans modern chic, with marble, glass, wood, and steel. Ships host between 44 and 163 guests, who enjoy butlers (service level depends on cabin category), and venues like a gym, salon, and spa. Fellow Passengers: Social, sophisticated passengers, usually 55-plus, who relish food and wine and independent exploration. A whopping 45 percent are fun-loving Aussies, with the rest divided between the United States, United Kingdom, and Canada. Passengers mix well and many make new international friends. Average Eight-Day Fare: $4,500 per person. Notable Inclusions: All meals and most alcohol; 24-hour room service; gratuities onboard and ashore; excursions and events; Wi-Fi; airport transfers. Rivers: Danube, Main, Rhine, Moselle, Douro, Rhône, Saône. Cabins: Accommodations are dubbed suites, yet the smallest (160 square feet) are considered a cabin by most. All provide Egyptian cotton sheets, down pillows, and L’Occitane toiletries. Butlers stock complimentary mini-fridges, filled with guests’ preferred beverages. Eat and Drink: Scenic offers singular advantages: Six dining choices—like sundeck teppanyaki—and enough dinner tables for two. Tuck into lavish five-course meals in specialty restaurants, perhaps French or Italian. Guests booked in costly suites enjoy one complimentary six-course degustation menu, paired with wine, in the haute Table La Rive. Staying Fit: Use the outdoor heated pool, wellness center with workout equipment, running/walking track, and e-bikes. 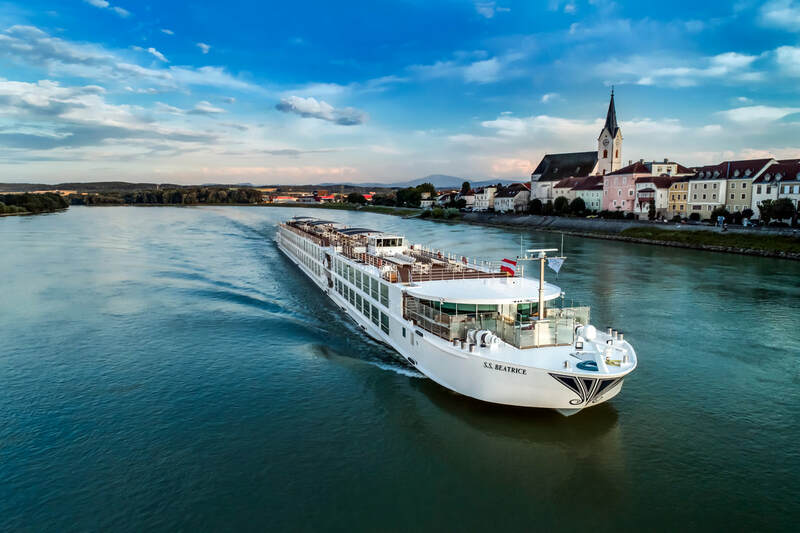 Scenic partners with Trek for 10 sailings per year, melding daily cycling trips into a river cruise itinerary. Shore Excursions: Scenic partners with National Geographic, featuring a Nat Geo photographer and lecturer, on some sails. Most memorable: Every cruise offers a Scenic Enrich event, such as a private ballet performance in a St. Petersburg palace. Vibe: Admirers of opulent European hotels adore Uniworld's boats, averaging 130 guests. Think bespoke furnishings, intense hues, antiques, crystal, and marble. No ships are alike; one evokes the Art Deco era, another resembles a baronial estate. Six Super Ships, the line’s crème de la crème, prove particularly posh. Fellow Passengers: Chic, discerning passengers who are mostly North American, with some Brits and Europeans, age 50 and up. Average Eight-Day Fare: $4,000 per person. Notable Inclusions: All meals and alcohol; 24-hour room service; shore excursions; wellness programs; gratuities onboard and ashore; Wi-Fi; airport transfers. Rivers: Danube, Moselle, Rhine, Main, Bordeaux, Dordogne, Garonne, Seine, Saône, Rhône, Douro, Po, Moselle. Cabins: Enthusiasts overlook the small cabins (some just 151 square feet) for luxe appointments, like handcrafted beds from legendary Savoir Beds of England, thick towels on heated bars, and Asprey and Hermés toiletries. Butlers pamper suite guests, including unpacking luggage and drawing bubble baths. Eat and Drink: Chefs excel at classic and contemporary European cuisine showcasing local ingredients. Vegetarians, vegans, and the diet-minded dine well. Bartender’s craft cool destination-inspired cocktails. Adventurous guests can book Uniworld’s intimate dinners in local host homes. Staying Fit: Work off indulgence in the well-equipped gym; certified wellness instructors offer TRX® Suspension Training on select sails. Exhale with a spa facial or massage. Shore Excursions: Enthusiastic guides, speaking excellent English, lead activities such as walks, hikes, kayaking, and bicycling. Particularly noteworthy: Exclusive excursions, like golfing on France’s most prestigious courses, are complimentary. ​Vibe: Virtually identical, the company's 190-passenger Long-ships possess a contemporary Scandinavian design, emphasizing natural wood, neutral hues, and windows. Enthusiasts praise the alikeness, preferring the same onboard experience wherever they go. With such uniformity, Viking cruises purr along like Bentleys. Fellow Passengers: A primarily American over-50 crowd, well-traveled & passionate about history, culture, and the arts. Average Eight-Day Fare: $3,748 per person. Notable Inclusions: All meals, beer and wine with onboard lunch and dinner; one complimentary shore excursion per port; Wi-Fi; ground transfers with Viking Air purchase. Rivers: Rhine, Main, Danube, Seine, Rhône, Douro, Moselle, Elbe, Dordogne, Garonne, and Gironde. Cabins: Viking’s bathrooms, with glass-enclosed showers, heated floors, and anti-fog mirrors, are knockout. Standard Staterooms are small (150 square feet) but functional; comfort comes in 205-square-foot Veranda Staterooms. Splurge on a 275-square-foot Veranda Suite, or 445-square-foot Explorer Suite. Eat and Drink: Viking dishes up familiar American and modern European cuisine. The casual indoor-outdoor Aquavit Terrace delivers pleasing daytime buffets. Most passengers happily dine in The Restaurant on three-course meals at night. Staying Fit: There are no workout facilities…except for a small walking track (and two putting greens). Concierges can arrange visits to local spas and gyms. Shore Excursions: Widely praised for immersive local experiences, Viking standouts include intimate tea and conversation in local residents’ homes, and a fabulous outing to Downtown Abbey’s Highclere Castle.